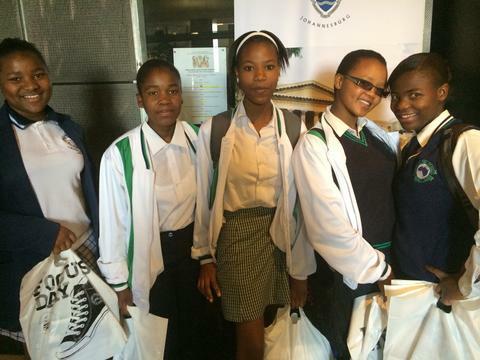 On Friday the 11th of April, University of Witswatersrand opened its doors to aspiring high school learners. 35, Ebony Park Grade 12’s came together to see what university life looks like as well as to decide on their tertiary options. 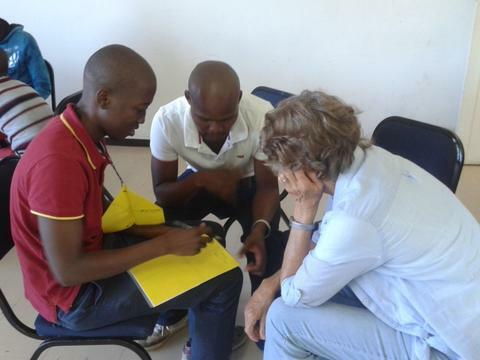 With the help of our very committed volunteer Hlengiwe Radebe, the learners were divided into 3 specific groups upon arrival. 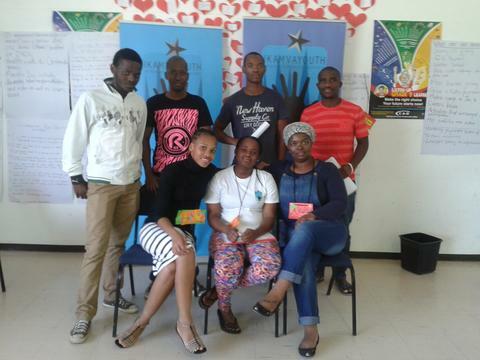 The humanities groups was led by Nyasha Zvomuya, the Ebony Park Branch Coordinator. The commercials group was led by Michael Thema, the Ebony Park Branch Assistant, and the last group of aspiring scientists was led by Hlengiwe Radebe. The open day was very organised with 30 minute seminars being hosted by different faculties in different lecture rooms. The facilitators explained what programmes were offered in their faculties, what the minimum admission requirements were and what career opportunities students could look forward to after completing their studies. 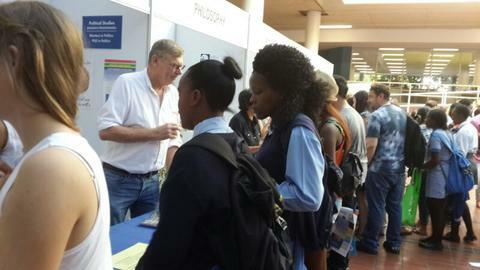 The learners’ then had ample time to ask questions and meet the lecturers who teach in those faculties. It was a very exciting experience for our learners and has given them an even added push to do well in their final exams. 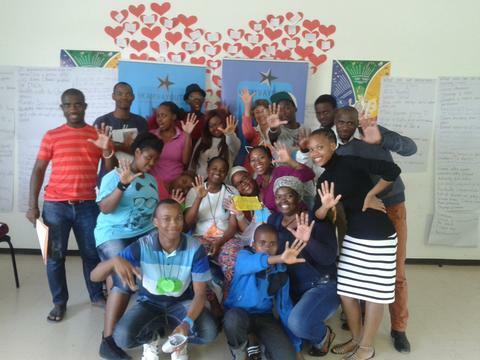 On the 22nd of March, both Ebony Park and Ivory Park branches came together to plan for 2014. 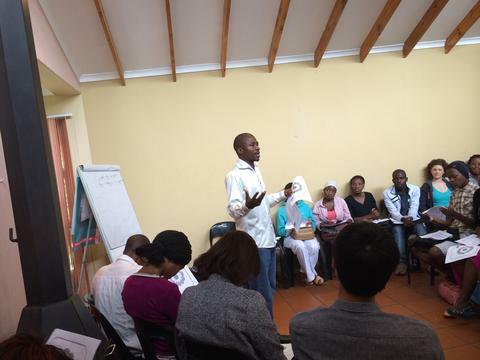 This years’ Strategic Planning Weekend (SPW) was held at The Barefoot Backpackers, a perfect spacious venue. The volunteers were met with some early morning tea and refreshments to wake everyone up to the busy day ahead. To start off the day volunteers from Ivory Park, Emmanuel and Richard, introduced the SPW meeting and outlined firstly what IkamvaYouth is and facilitated the setting out of ground rules to guide the day. They laid out their expectations of what they wanted to see as the outcomes of the SPW. Mr Mashanda, the Gauteng District Coordinator took the stand and outlined what will be taking place and he emphasised that he expected all branch related issues to be addressed during the meeting. Both Ebony Park and Ivory Park branches gave a brief overview of branch activities throughout 2013 and immediately after that the branches broke away into 2 separate groups. The task for the larger part of the morning was to discuss the challenges faced and devise ways to solve the challenges. It was interesting because the volunteers themselves facilitated these sessions and highlighted personal observations and the sessions were very interactive. Specific action points were decided upon and recorded and feedback will already be expected from the first branch committee meetings at the branches. The last half of the day was dedicated to branch targets and electing a new branch committee for 2014. The enthusiastic vounteers now knew what was needed at the branches and became pro-active in choosing the right candidates to fill the different portfolios. Overally, it was a very insightful day and it is amazing to see how much support the branches have. 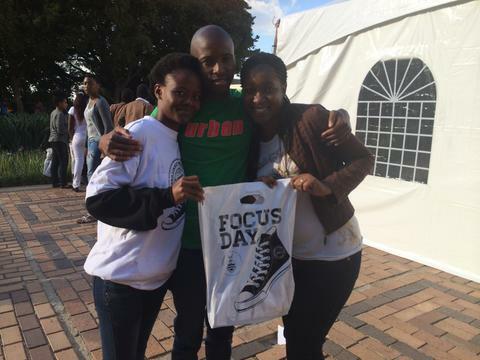 Both Ebony Park and Ivory Park volunteers have taken ownership of IkamvaYouth in their communities! IkamvaYouth (IY) is interested to hear that the South African government hopes to implement a mandatory one year programme for all tertiary graduates. All students will be expected to finish twelve months of community service in a field related to their studies, the ANC announced <insert relevant date>. 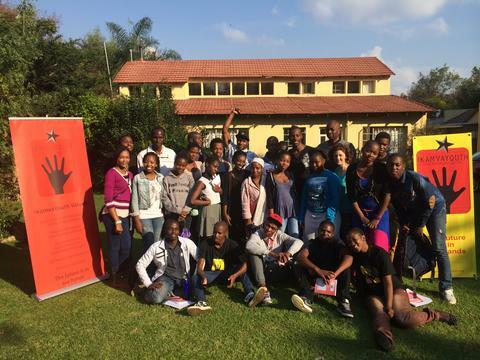 As an organisation that relies entirely on the volunteerism and goodwill of students to tutor and mentor high school youth, IkamvaYouth believes community service works best when people offer their help freely. IY would like to see many graduates involved in community development, but does not think an extra year after university or college makes as much sense as working while studying. Joy Oliver, IkamvaYouth’s Director, believes flexibility and willingness are crucial when using graduates to carry additional workload. She has noticed that volunteers who are forced to participate have a high dropout rate from programmes and do not have the same impact as students who step up to make a difference through their own volition. Government is expected to introduce community service programmes by 2016, with the belief that students will benefit from the work experience one year of work affords. 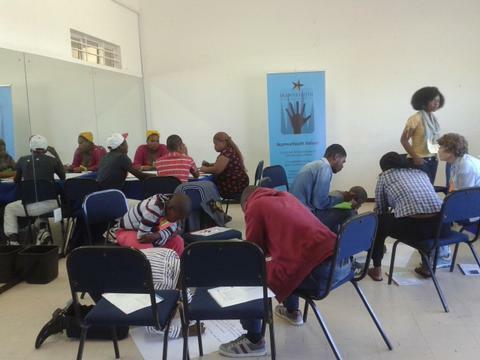 IkamvaYouth currently runs off the services of hundreds of volunteers, many of whom tutor while studying at university or college, and proposes instead that these community service programmes are integrated into tertiary studies, as an experiential learning opportunity. 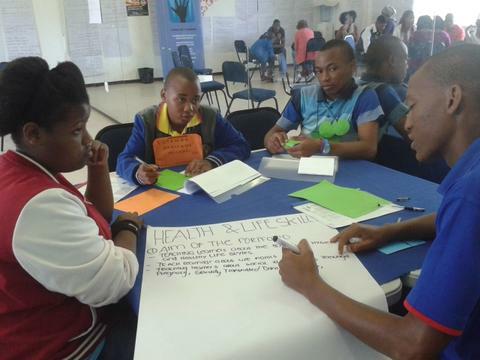 In addition, IkamvaYouth proposes that the funds allocated to these initiatives are instead used as incentives for committed, effective student volunteerism. Receiving these incentives in the form of funds for registration fees, textbooks, transport and accommodation while studying will be a great support to students in overcoming the financial challenges that can lead to dropout from tertiary studies. 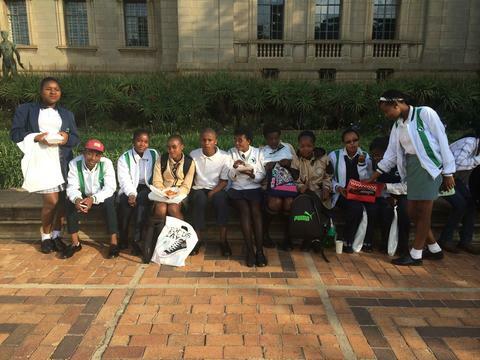 On the 12th of April 2014 all 21 of our grade 12 learners, accompanied by 4 of our tutors, attended an Open Day that was hosted by UCT at the Upper Campus of the University. The purpose of the day was to expose grade 12 learners to the various career opportunities available at the institution, the requirements for each and what one must do in order to access such opportunities. Upon arrival out Masinites were out and about siezing the moment and opportunity. An interesting part of the day was seeing how the matrics were hungry for knowledge and insight about UCT and all the available opportunities. From stall to stall they moved asking questions and collecting support materials that were available at each faculty booth. The Open Day was a great opportunity for the learners to equip themselves for the rest of their matric year and for their upcoming application process. 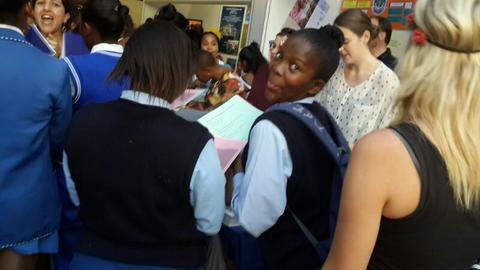 Going through the various faculty booths the learners appeared to be having fun and also appeared to be gaining a lot of knowledge about all the opportunities available at UCT. 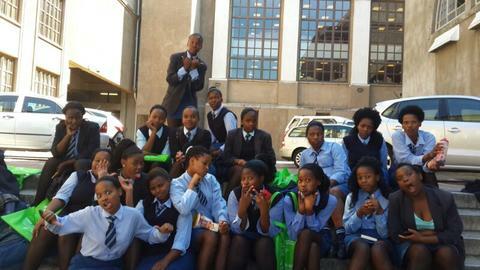 It also became clear how benefitial such events are in creating a sence of onness and morale amongst the learners. 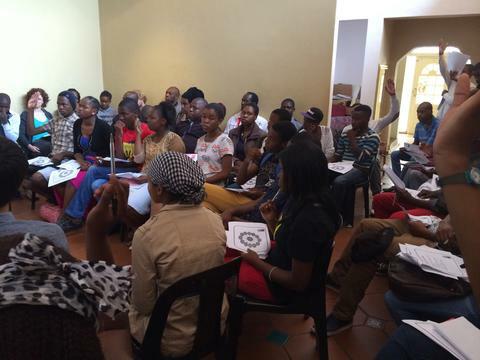 On the 6th and 7th of April 2014 the staff, tutors and learner representatives of IkamvaYouth Chesterville branch gathered together to review the purpose of IkamvaYouth as an Organisation, the highlights that IY has seen as it continues to grow from strength to strength and what the branch can do to make sure it (the branch) carries through the vision of the Organisation. Everyone came prepared for what lay ahead as all sat together to voice out what each person expected during the course and the outcomes that they are looking forward to, moving forward, arising from this very significant event. Each person was also given, from the start, an opportunity to contribute to the ground rules that would govern the conduct and relations as the weekend progresses also keeping into account that many of these could be applied in our daily working relations in Chesterville. 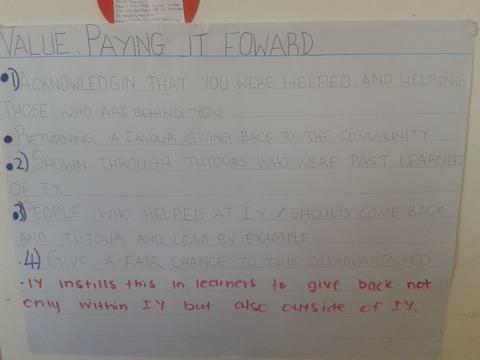 This event was especially marked by a collaborative effort to find what each person believed and the ideas they held about IY as a whole. For each segment of the meeting people were divided into smaller groups to discuss certain areas or fields that formed the greater picture of that which being discussed. This allowed for each person as an individual to have a voice and for the bigger group to come up with a united understanding of what was being discussed. Critical matters which make or break the structure of IY were placed on the table and were under discussion such as the aim of IY, the successes and failures it has encountered, the successes and failures of the branch, the core values of IY, the challenges faced by the branch and how these can be overcome, the portfolios within IY what these have managed to achieve in the previous year and what they have not and what can be done to pursue further success in each portfolio in the current year. This was a highly beneficial process as it allowed people to get answers to questions; to add what they think would assist towards growth and understand what was/is expected of them in their roles. The programme ended with the election of new Portfolio Heads who with their team had an opportunity to look closely on the plans previously made and also to draw a new plan for the year ahead to guide its function and try to achieve better results contributing to the solidifying of the structure of IY and implementation in and therefore the successes of Chesterville as a branch. Everyone left with renewed energy ready to take on the year ahead Superhero style!! !